On the latest episode of Called to Coach, we hosted Sangeeta Badal, Ph.D., Gallup Client Service Advanced Consultant. 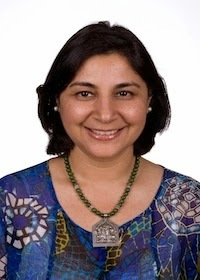 Dr. Badal is the primary researcher for Gallup’s Entrepreneurship and Job Creation initiative. A few years ago, a small group of Gallup consultants, including Dr. Badal, examined the troubling level of uncertainty in the American economy -- rising unemployment, slow recovery from the recession, and stagnant job creation trends. They quickly discovered that in order to boost the growth of the economy, entrepreneurs need to be encouraged to develop new startups, thus creating more jobs. The team looked at why more startups weren’t being created, and why many failed to get off the ground. Several components of a business can cause a company to fail, such as inadequate funding or poor management. However, a critical factor overlooked by many people plays directly into the demise or success of a startup: the entrepreneurial makeup of young business leaders. Dr. Badal and her team developed Entrepreneurial StrengthsFinder to find individuals who have the innate talents to turn an idea into a customer. Similar in length to the Clifton StrengthsFinder, the assessment provides a list of 10 talents, ranked by intensity and categorized as Dominant, Contributing, or Supporting. Dr. Badal says that although successful entrepreneurs have varying skillsets, only about five in 1,000 will show dominance in all 10 talents. To hear more about Entrepreneurial StrengthsFinder and how entrepreneurial talents can tie into business outcomes, watch the full video above. Register now for the next Called to Coach on Friday, Sept. 5, at 1 p.m. EDT when we will host Roy Spence, Co-Founder and Chairman of GSD&M, a leading national marketing communications and advertising company. Dr. Badal is responsible for translating research findings into interventions that drive small-business growth. She earned her doctorate in anthropology and geography from the University of Nebraska-Lincoln (UNL). She is the author of the forthcoming book Entrepreneurial StrengthsFinder (September 2014).